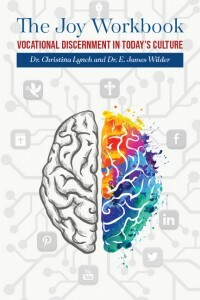 The Joy Workbook – Vocational Discernment In Today’s Culture – Dr. Christina P. Lynch, Psy.D. Looking through the lens of Catholic anthropology, this “joy playbook & workbook” recognizes that the source of all joy is God, and that supernatural joy is a fruit of the Holy Spirit who with the Father and the Son lives in eternal relational joy. God’s grace builds on our nature. This natural relational joy towards our neighbor is what this playbook and workbook describes. The strategies and drills recommended to build and restore relational joy can be applied by anyone, though this playbook and workbook are directed toward those born around the millennium who are discerning a vocation. Would you like to buy the booklet? Contact Us Now!